Melanie Travis’s new book club caters to readers craving fiction—with bite! But when a real-life murder case bares its fangs, she’ll need to swap dog-eared novels for a lengthy suspect list . . . 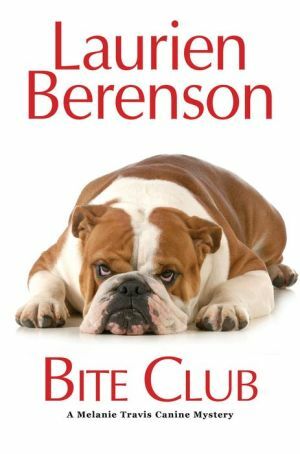 Thanks to Aunt Peg and her enthusiastic pedigree dog show pals, Melanie’s aptly named Bite Club reading group has book lovers all over town burying their noses in thrilling murder mysteries. But another pet project surfaces when Melanie reluctantly agrees to train a Bulldog puppy for elusive member Evan Major. Between the unusual bruise on his face and a bizarre run-in with an unknown dog show attendee, introverted Evan can’t dodge trouble. It even sends him to an early grave—while landing Melanie in the hot seat for homicide . . . Caught at the wrong place at the wrong time, Melanie delves into the victim’s shady past to prove her innocence. As she uncovers a juicy scandal that cost Evan his marriage and, possibly, his life, Melanie realizes that booking the real culprit comes down to gathering her pack of suspects together at the next Bite Club meeting. What she doesn't know is Aunt Peg has been hiding some explosive secrets of her own—secrets that, once unleashed, could pit Melanie against an unpredictable killer bent on bringing this story to an abrupt end . . .